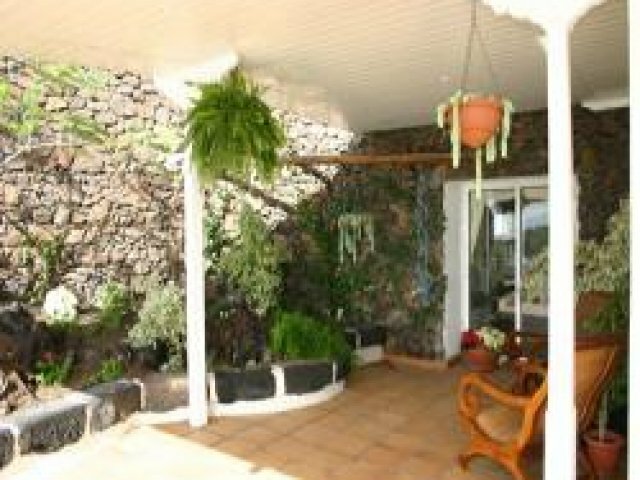 Penelope is a large and stylish villa, situated in Los Mojones in Puerto del Carmen. It has three bathrooms and two bedrooms and can sleep up to six people. 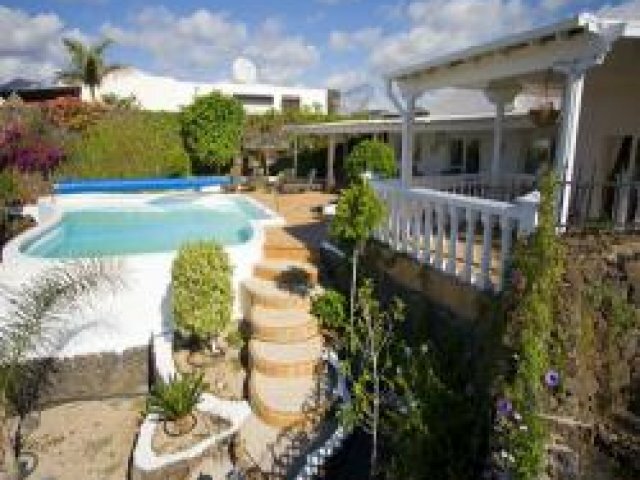 The villa�s garden is south facing so enjoys sunshine all through the day. 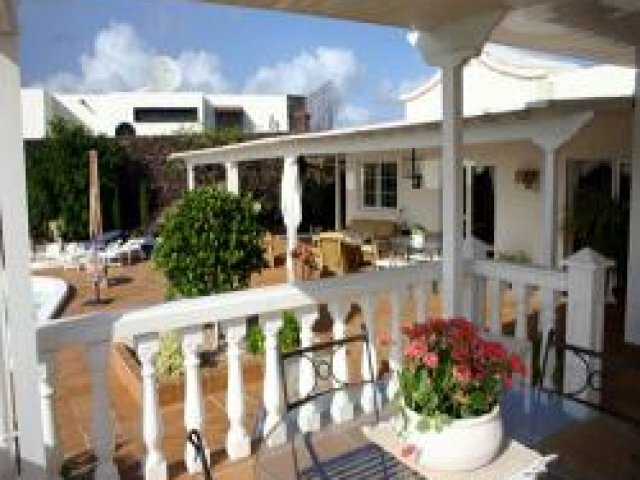 This is the spot to soak up the rays by the large swimming pool, or escape to the shade under the covered terrace. 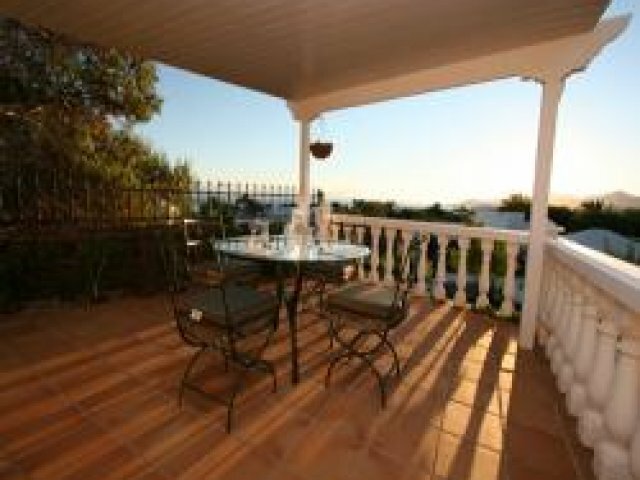 There�s plenty of poolside and patio furniture to relax in wherever you choose to sit. Guests can also enjoy cooking a meal on the built in BBQ. 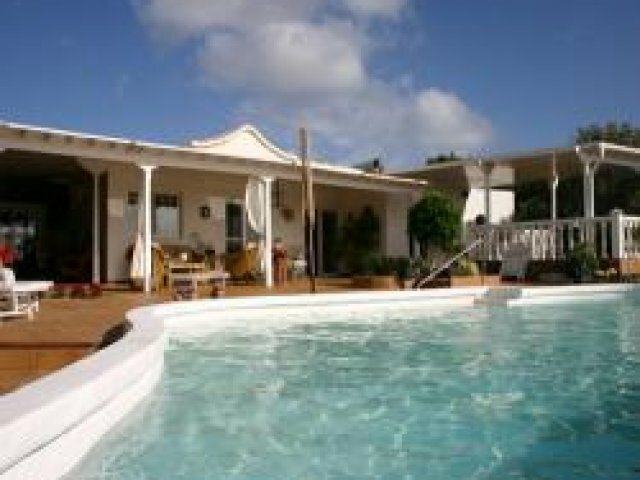 Internally the villa has been well decorated and furnished and offers accommodation comprising a modern kitchen kitted out with all mod cons and a large lounge/diner equipped with dining table and chairs, comfy sofas and satellite TV.